PG Eletek/GPXL Replacement Bulbs (set of 4) is rated 4.00 out of 5 based on 2 ratings. These replacement bulbs are specifically designed for the PG Eletek Lamps (House of Troy GPXL Lamps) and come four to a set. 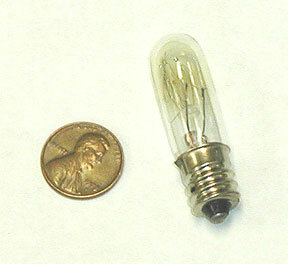 Each bulb puts out 15watts for a total of 60 watts and are rated for 1,500 hrs. When purchasing separately (outside of a lamp purchase), please remember that shipping costs stay $6.95 upto 4 sets (16bulbs).